Branding – Brett Malden aka "bmw"
He’s at it again. Never to be the one to say “I’m done,” arguably the world’s most famous ad man, Alex Bogusky, is back and ‘Stirrin It Up’ in Boulder with a revolutionary concept for business that turns conventional thinking on its head. As if he didn’t accomplish enough in one lifetime that mere mortals could only aspire to in 10, the dude’s brain is so super switched-on, he only has one gear-overdrive-and that adrenalin fueled freakishness has birthed something incredibly innovative and uncommonly Common. Brett Malden Demo Reel 2010-2011 v4. As Executive Creative Director | Executive Producer and Global Lead for Integrated Production Team at SapientNitro and Freelance. 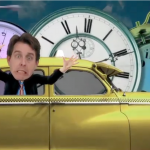 This is a version of my Demo Reel with an alternate music track I helped compose, score and arrange with Scott Linnen, Creative Director and Beacon Street Studios for the Chrysler client called ‘Soul Mix 90’. Edited by Andres Ripoll. 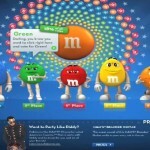 Brett Malden DFX | Animation | Motion Graphics Sizzle Reel 2011. As Executive Creative Director | Executive Producer and Global Lead for Integrated Production Team at SapientNitro and Freelance. A collaboration between two of the best DFX artists on the East Coast (Alain Lores and Marlon Munoz); Editor | Producer Andres Ripoll and myself as Executive Creative Director (ECD) and Executive Producer (EP) for a wide range of clients including Coke, Powerade, Vitamin Water, TWIX, Celebrity Cruises, Vizio, Sony, Dolby, Travelers Insurance, Foot Locker, Cornetto Ice Cream and the Rock and Roll Hall of Fame at SapientNitro and freelance from 2009 to present. Advertising M+A darling Miles Nadal, founder and CEO of MDC Partners, provides a bird’s eye view from the ivory tower on how to build a winning agency model for today and a sustainable model for the future. In short, it all starts with the agency vibe + culture and we can expect more of the Silicon Valley “run and gun” startup ethic infiltrating the buttoned-up (and buttoned-down) ranks of Madison Avenue. Look at it as the evolution from Mad Men to Rad Men. Like cool man. You gotta check out this 100+ slide presentation documenting the seminar highlights by day of what went down of substance at Cannes 2011. Brilliant summary. Thanks @Jessdee. Check out who said what at Cannes 2011 regarding building brands in the digital age of on-demand mobile consummerism. “Boutique Cruising” :30 second TV Spot in support of the ‘Designed For You’ campaign. Also repurposed for digital applications including rich media banners, online display ads and as general content for the brand website. See more at “Celebrity.” Music by Dj Dimitri from Paris. 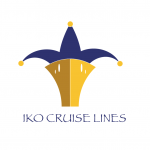 IKO was a new multi-day cruise line planned to launch from the Port of Palm Beach in the Fall of 2009. Despite FRANK. winning the business, the company has yet to secure the required funding to commence operations. The latest edition to the lifestyle brand portfolio of D-Lab built around the award-winning, critically acclaimed, international design icon “Luis Pons,” I am part of the product innovation and marketing team that will bring this incredibly unique forward-thinking concept to life worldwide.